We just released a new puzzle game called Move Here Move There. It's a brain teasing game about making a path using boxes that have number of steps and directions. itch.io Community » Game Development » Release Announcements · Created a new topic Rullo - An addictive math puzzle game! 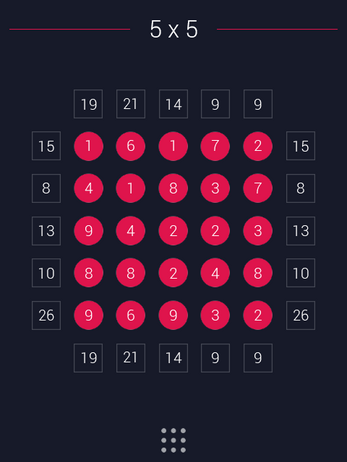 Rullo is a simple math puzzle game where you have a board full of numbers. The goal is to make the sum of numbers in each row and column equal to the answer in the box. Turn on/off the numbers by clicking on them. There are 2 game modes: Classic and Endless. 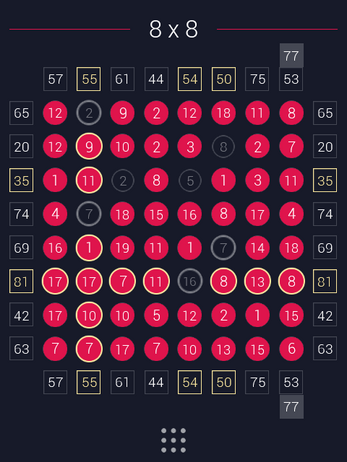 In Classic mode you can choose which board size and difficulty you want to play. In Endless mode you will be given a puzzle with random size and difficulty. Your total wins in any mode will be recorded. The puzzle is randomly generated so you'll never get bored of playing. Android and iOS versions are also available and have more features.